The experienced, licensed and friendly local electricians at The Fresh Living Group are on call to help with all your electrical installations, repairs, maintenance, breakdown, power and data issues Monday to Friday throughout the entire greater Melbourne area at very competitive prices. Our services include; repairs to existing lighting and power, installing new electrical appliances, lighting and ceiling fan installation, exhaust fans, new powerpoints and power point replacement, telephone and data point installation, smoke alarm installation and testing, switchboard repairs and maintenance, security lighting, outdoor lighting, earth leakage switches, spike arrestors, safety inspections and much more. Servicing all suburbs in the entire greater Melbourne area Fresh Living Group Electrical Services are a complete service company with licensed highly trained professionals on-call to provide the very best service to our valued clients. Many older Victorian homes and business premises do not yet have a safety switch built into their electrical wiring. 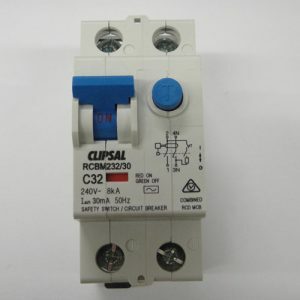 These RCD safety switches are life saving devices which monitor the flow of electricity for “earth leakage” which is usually associated with a faulty circuit or an electrocution. When a fault is detected the safety switch disconnects the power to that circuit in a split second thus saving lives. If your electrical system doesn’t have a safety switch fitted call or contact us immediately for a free quote on the supply and installation of an RCD safety switch. So whether you have an electrical problem, a new installation or are in need of an electrical fault finding and problem solving by a professional electrician don’t hesitate to call us on 1300 373 745 or contact us online via the form below.